Discussion in 'Auto News' started by GTPNewsWire, Jan 22, 2019. This article was published by Andrew Evans (@Famine) on January 22nd, 2019 in the Automotive News category. TheHun99, JoueurGT and IngRobNy like this. That doesn't look right. A track race car as a rally race car. VXR, TheHun99, BallPtPenTheif and 2 others like this. I really hope they don't just do asphalt rounds only. The beauty of converting these cars into rally cars is going to play on the gravel also. I love RWD rally cars they are awesome! Should send a 918 out to Dakar as well. Disco_Volante, TheHun99 and raven214 like this. You can show pictures of rally Porsches all you want, it doesn't change the fact that it looks wrong. Wait, a 718 with a six-cylinder engine? WHAT A GOOD IDEA. This looks really interesting. I'm just one of those old-school guys who really just doesn't enjoy the 4WD rally scene much. I can't wait to see the new Alpine A110 go rallying too! It doesn’t the fact or it doesn’t change your opinion that it looks wrong? Everything, and I mean everything, looks better as a rally car. It's just one of those facts of life. Dobermann92 and Northstar like this. Maybe. I tend to change my mind often. This is very much true, if anyone needs more proof just watch FailRace's rallycar build videos. Ever since the Porsche Cayman was released, I always considered it a lovely car. I don't think a rally version of this car is wrong in any sense. It is pretty cool seeing a rally-grade version of the Cayman with that article and these pictures. I hope people who rally this thing can find success with it. I wonder if it is going to be in Dirt Rally 2.0. It's the 981, not 718. I think it is the 718. Soon Porsche will be joining the fray with a rally car based on the 718 Cayman GT4 Clubsport. 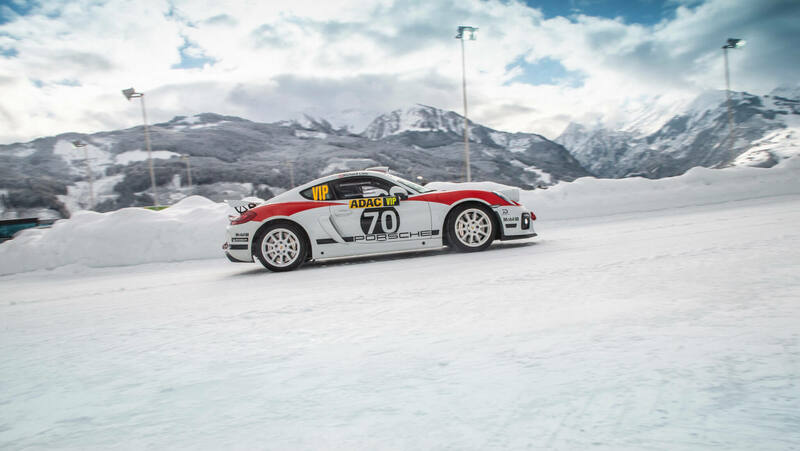 While the concept car – pictured above putting in its first public show on snow and ice in the Austrian mountains – is based on the old Cayman GT4, the one that’ll be in the hands of actual customers next year will be a rally-homologated version of the latest 718 GT4 Clubsport racecar.